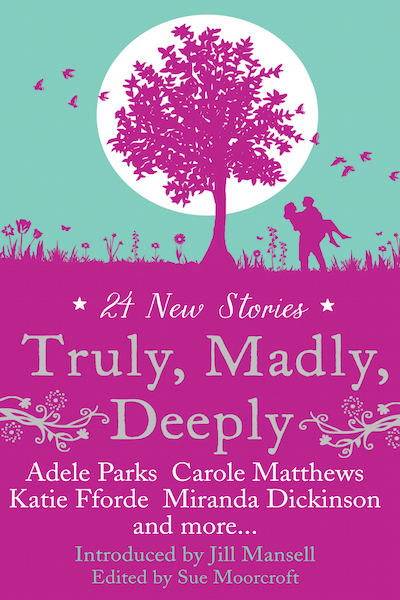 This collection brings together all-new specially selected stories from star authors from the Romantic Novelists’ Association, including international bestsellers Adele Parks, Katie Fforde, Carole Matthews, Miranda Dickinson, Heidi Rice and many, many more and is edited by Sue Moorcroft. Unbelievable. Of all the lifts, in all the office blocks, in the whole of London, the biggest mistake of my life has to walk into mine. Elizabeth Ryan sent up a silent prayer for invisibility as she inched behind two suited executives. Her back bumped against the mirrored wall in the executive elevator at Stokes and Company’s brand new twenty-eighth storey tower in Canary Wharf. Unfortunately, someone up there wasn’t listening, because she failed to disappear. The name whispered across her consciousness as heat crawled up her neck and flared across her scalp. Twenty-two years since she’d last seen him and yet recognition had blasted her in the sternum as soon as he’d edged into the crowded lift. Which was surprising, because that fitted steel-grey designer suit was one heck of a departure from the wrecked jeans and third-hand leather jacket he’d lived in at Hillbrook Secondary. Thank god he was absorbed in the lift monitor and hadn’t looked her way. One glance at those heavy-lidded bedroom eyes a moment ago had been more than enough to make her heart swell up and stop beating for several crucial seconds. Funny how even after two plus decades, and what looked like a major GQ make-over, those slightly slanting emerald green eyes still made him look as if he’d just gotten out of bed — or was about to lure her back into one. The lift glided to a halt on the mezzanine level. And her two-executive shield — as well as most of the rest of the lift’s inhabitants — shot out, making a beeline for the Starbucks queue. Her shoulders tightened and she stared straight ahead tuning out the chatter about a press launch from the three young women who’d deliberately positioned themselves next to Ren. She risked another glance. He seemed taller, and more muscular. She didn’t remember his physique being quite this over-powering. But from what she could see from this angle, little else about him was different. He still had the high, dramatic cheekbones. Although now expensively styled and with a wisp of grey at the temples, his thick dark hair still had those curls that skimmed his collar and made her fingers itch to caress. And even in his expertly tailored suit, he still had that laid-back-to-the-point-of-insolence stance that said loud and clear he didn’t give a toss about anyone or anything.